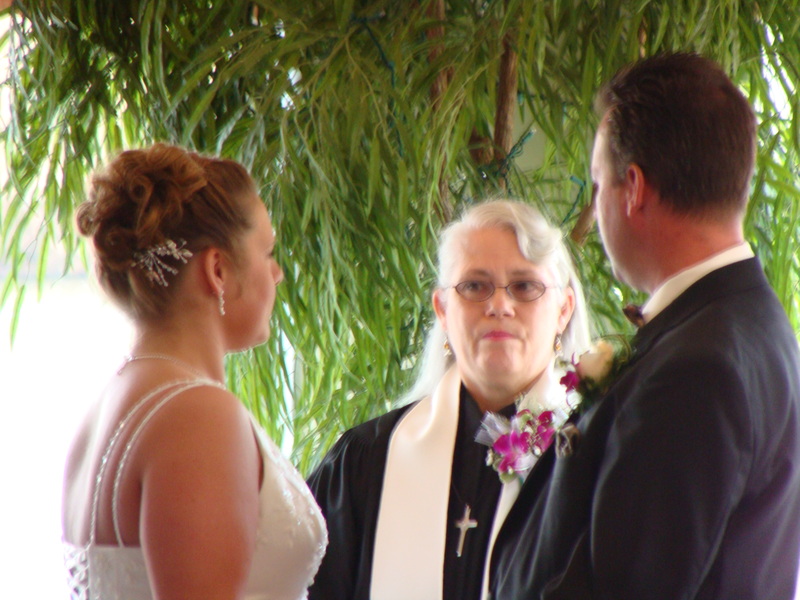 Traditional Religious: This wedding uses the ceremony many of us have heard of in the past. The language is the time-honored text from one of the major religions and most often in a church--maybe the type of service in which your parents or grandparents participated. Traditional Secular: This wedding service is held in any setting and is most widely used in "civil ceremonies" and officiated by judges or government officials. It also embraces a creative approach to the service and may include poetry or other text to add personal style and a artistic touch in a non-religious context. Contempory Religious: While these ceremonies retain the religious style of the traditional religious wedding their language is modern and the readings are taken from the newer tranlations of the Bible or other religious texts. Contempory Secular: Weddings in this style are open, new age ceremonies that may use modern poetry or texts chosen by the bride and groom. In addition, this style allows the couple to incorporate new ceremonial formats or actively involve one or more family members or guests in the ceremony. Vow Reneals: these ceremonies can take the form and style of any of the services mentioned above as it pleases the bride and groom. Baptisms: This ceremony is often related to a particular religion, however John the Baptist did not have a particular religion but baptized in the name of the Father, the Son, and the Holy Spirit. Therefore, baptism is done as a dedication of ones life to the Lord Jesus Christ. Naming Ceremonies: There ceremonies are designed by the parents and may include music, poerty, and special readings.